Ego Altar is a soulful portrait of individuals, capturing their spirit through gestures, poses and carefully orchestrated interactions. A series of full bodied physical conversations explore individual identity and conformity in response to one’s immediate environment and to society’s expectation. Dancers move on, around, in and under different types of altars. Exploring each space as a sanctuary or sacrilege. Ego Altar brings a balance between light and dark moods and graceful, impulsive movements into a unique relief. A sense of femininity, intimacy and density all come together seamlessly. SynthesisDANCE: a collective of female creatives using strength, grace and honesty exploring universal themes; connecting with audiences through wit, musicality and human-scale drama. 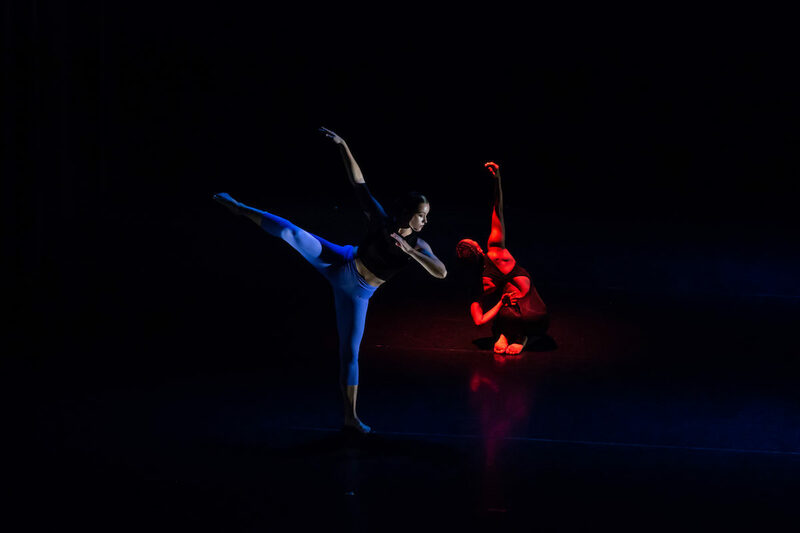 Rooted in technique with an affinity for emotion, and story, SynthesisDANCE pushes beyond conventions of genre and entertainment to explore themes such as loss, emptiness, excess, what it means to be a woman/human through a “masterful fusion of contemporary and classical dance forms” (Huffington Post UK). Bridging the gap between art and entertainment, bringing audiences closer to dance, making art that mirrors everyday life and shows us the best of who we are is central to Synthesis’ mission. POP provides the dance community with increased support for showings and performances. POP enables dance artists to self-produce performances and showings at Gibney through a curated rental process. Artists can participate in POP through Performances, Showings, or Open Rehearsals. POP Performances offer a three-night run in The Theater (Studio H) at 280 Broadway. POP Showings & Open Rehearsals are more informal showings in our studios. Hilary Easton + Co: Nothing is Perfect, Nothing is Finished.